It has now been some time since we first announced DrumSpillage 2.0. So what’s been happening? Summer ended a long time ago! In short: we re-engineered the entire plugin resulting in over 50 exciting new features and enhancements. Here’s a closer look. We’ve bolstered the original distortion and filter shaping capabilities with the addition of a new 3-way comb filter resonator and frequency shifting unit. These effects can provide subtle ambience/spatialisation and/or total modification of the harmonic structure. A new lo-fi decimation system adds character without degenerating into useless bit-gossip. Also fresh; a new analog modelled lowpass filter with classic resonant peaks and low end warmth. 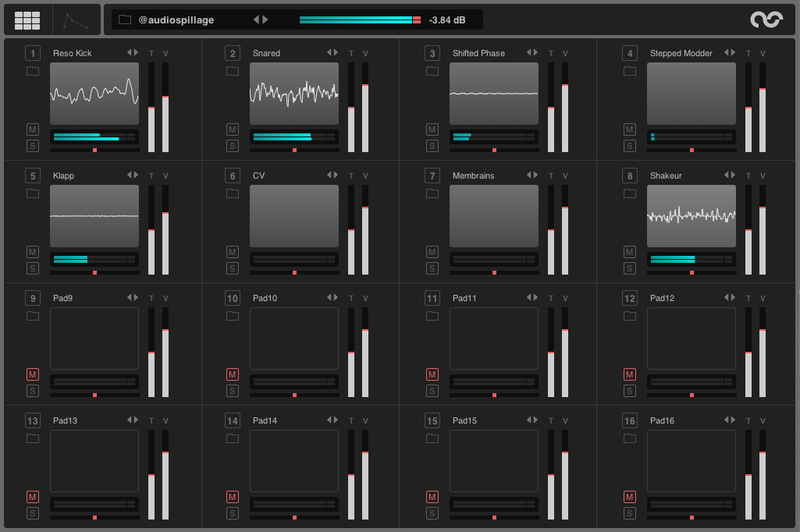 A totally new step based envelope generator emits tempo sync’d modulation sequences with step count and looping facilities for full flexibility. The LFO and envelope editors are now completely independent. 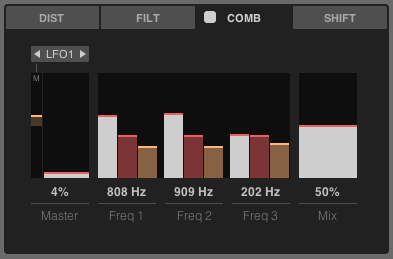 The per pad LFO count is now at 4 LFOs per pad. LFO frequency can itself be modulated by another LFO or even one of the envelopes. Modulation potential is enormously expanded and the routing of it hugely simplified. LFOs are polyphonic, still. The heart of it all. In V1 each drum synth model had a unique control interface. In DS2 we’ve standardised that interface. Most models now fit within a 10 slider arrangement. Some of the more complex models like the FM and membrane synthesis still necessitate a more customised layout. The models themselves have been re-evaluated and re-tuned with significantly improved DSP, parameter mapping and programming depth. The new UI in DrumSpillage 2 has been completely re-styled and is now rendered entirely in the vector graphics domain. Perfect for Retina displays. As of 29th November 2013 DrumSpillage 2 will be released very soon and is available for Mac OS X 10.6 and higher. There are still a limited number of pre-order licenses available from our online shop @ 25% off the RRP. Pre-order customers will receive a version 1.x license to use in the mean time. If you already own a license for 1.x you can purchase the 2.0 upgrade in our online shop. The upgrade costs £10.00 / €12.50 / $15.99. Stephen on What’s New In DrumSpillage 2.0? Audun K on What’s New In DrumSpillage 2.0?